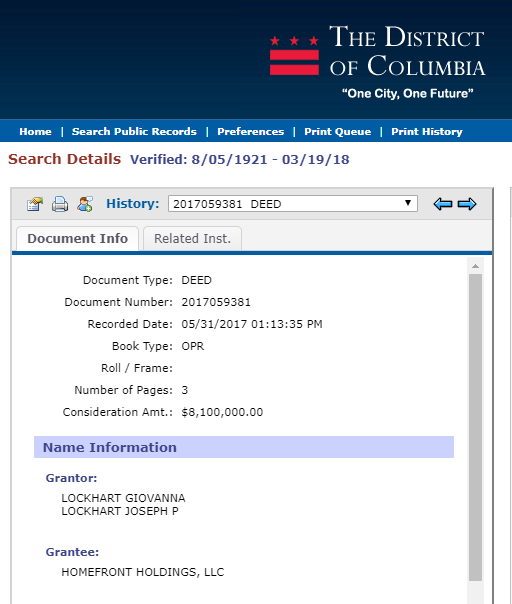 Barack and Michelle Obama bought their house in the tony Washington, D.C. neighborhood of Kalorama in May 2017. Since then, that house has not been raided by the FBI. But a bogus story circulating online claims that it has been. But stories published on those websites are often copied and reposted by sites that have no such disclaimer. That’s what happened in this case. It’s been posted on at least half a dozen other websites since it was first published in September 2017. It was recently reposted on a site called kosalb.info on March 21. The story starts with a reference to President Donald Trump’s unfounded claim that former President Obama wiretapped Trump Tower during the 2016 presidential election. The rest of it is a fictional account of an imagined FBI raid on the Obamas’ home that uncovered evidence of a surveillance program. Shelly Smithers, the person quoted as an FBI spokeswoman, is fictional, too. That’s the name of a character in a 2013 mystery novel about the FBI. The story also says that the FBI would release a statement about the raid, but there is no record of any such statement from the bureau. Not only was there no raid, the story doesn’t even get the price of the Obamas’ home correct. 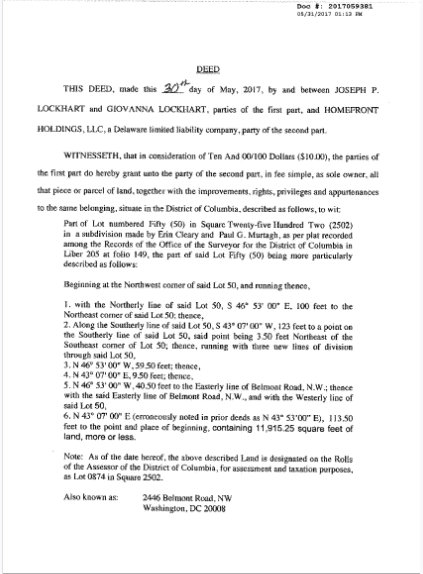 According to the deed and related information on file with the Office of Tax and Revenue in D.C., Homefront Holdings, LLC. (which is controlled by Barack Obama) purchased the Tudor style house in May 2017 for $8.1 million, not $8.9 million, as the false story says. Also, the photos that appear in the bogus story have nothing to do with Obama. One shows an FBI agent carrying boxes out of a Dearborn, Michigan, home in June 2017, and the other shows a San Francisco-area mansion during a raid in 2006. “BREAKING: FBI Executes Search Warrant At Obama D.C. Mansion.” ReaganWasRight.com. 5 Sep 2017. Dangremond, Samuel. “See Photos of the Obamas’ New House.” Town and Country Magazine. 1 Feb 2018. Kiely, Eugene. “Revisiting Trump’s Wiretap Tweets.” FactCheck.org. 22 Sep 2017. “Michigan home raided by FBI in operation described as national security issue.” Fox News. 2 Jun 2017. Staats, Jim. “Tiburon mansion raided.” Marin Independent Journal. 26 Apr 2006. "FBI Executes Search Warrant At Obama D.C. Mansion."